The Dolomites, one of the most beautiful mountain landscapes in Europe in the heart of fascinating South Tyrol, consist of fossilized algae and coral reefs. They are named after the geologist Deodat de Dolomieu and are known for their bright white mountain ranges of magnesian limestone. The Dolomites became popular through legends and also Luis Trenker, the famous film star who made legendary films about the Dolomites, the Gardena Valley and the Sassolungo. 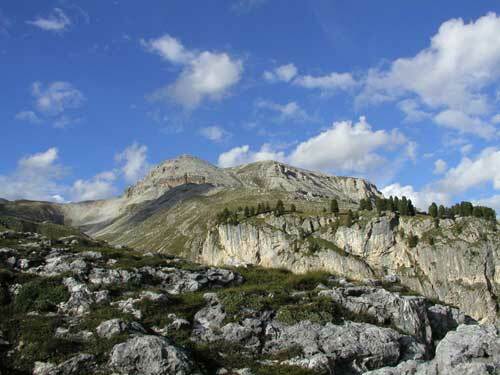 The population of the Dolomites valleys still speak an ancient Romanic language: Ladin. The numerous visitors to the Dolomites enjoy long walks and well-prepared ski pistes. In 2009 the Dolomites were inscribed in the UNESCO World Heritage List of especially valuable natural monuments worthy of protection.